Somewhere in the landslide of social media influencers, we’ve disconnected with the true purpose and benefit of an influential influencer. Influencers take artistic pictures to inspire and capture the attention of their followers. Recently, brands embrace influencer marketing by engaging and connecting with audiences who tend to ignore traditional strategies. Brands like The North Face, Lululemon and countless others use influencer marketing strategies on social media to connect on a personal level with new audiences and improve engagement with existing users. Many brands who chose not to invest in the proper research of choosing optimal influencers for their audience get caught with poor results. This often happens when an influencer’s reach and engagement is measured by their follower count as actual impressions instead of potential impressions. As well as not distinguishing between real or fake followers. Professional social media influencers are actively driving a conversation in real time rather than base influence solely on number of followers. Online measurement tools often don’t give conclusive information, but instead show you the statistics on metrics such as reach and number of retweets, and let you make up your own mind about the level of influence. We see that brands who opt to using traditional strategies struggled to connect to social media users. Influencer marketing done by established companies, create content that delivers 11x higher return on investment than traditional forms of digital marketing and 40% of people say they’ve purchased an item online after seeing it used by an influencer on Instagram, Twitter, Vine or YouTube. Just a few years ago, we didn’t know how to measure how much impact someone had on social media beyond the number of followers on their account, or the number of likes they received on an average post. Now, we have informative metrics that allow us to assess how well someone manages their social networks. There is also a wide selection of social media influence measurement tools, each offering a slightly different method of evaluation of social media worth. 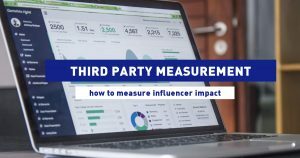 Points North Group sheds light on the best practices for selecting the most influential influencer and properly measuring an influencers impact. Combining machine learning with proven research techniques they screen partners and provide accurate, unbiased measurement of influencer campaigns. This helps you find and connect directly with impactful influencers, not just those with large social followings.